You don’t want to miss out on book 5 of this hilarious and very popular cozy mystery series from USA Today Bestselling Author Tonya Kappes. When the reenactment doesn’t go as planned, not one but two of the town’s folks aren’t playing dead. . .they were MURDERED! Mae lets boyfriend and hunky detective, Hank Sharp, follow all the leads about the murders and on the trail of the serial killer because she’s got bigger s’mores in the fire. The motorhome owners have filed a lawsuit and suing her for the deed to Happy Trails Campground. Mae has embraced Normal and there’s nothing or no one going to take her campground. She’s determined to find the motorhome and return it to the owners before she hands over any deed to anyone. The characters are well rounded, well developed and three dimensional. Any time I get to spend with Mae and the Laundry Club girls, I am a happy camper. I really enjoyed the fact that Mae and her foster/adoptive mom, Mary Elizabeth, are getting along much better now and they are starting to feel more like a family. Mae and her family and friends are very willing to help each other out, and at times find themselves in dangerous situations, much to the chagrin of Hank, Mae’s detective boyfriend. One of the things I especially liked about this book was that the crimes were a little unusual, and I appreciated that. The mystery was well plotted and evenly paced, and there were enough twists and turns that kept me on my toes. The author is so talented in creating a southern setting, and I always feel like I am in Kentucky, watching the characters interact and listening in on conversations. And there were some tasty sounding southern foods and some recipes are included. 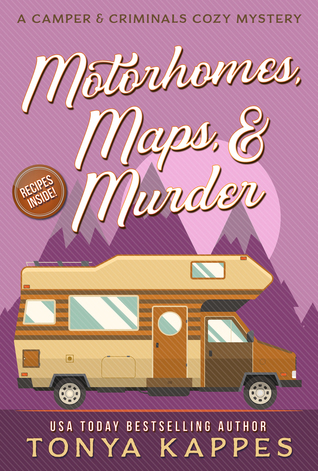 I would highly recommend this book, and series, to anyone who enjoys a well crafted cozy mystery. If you are looking for a great book to curl up with, check this one out.